Bored SysAdmin's Blog: Smartphone or Laptop? Both - Dell Latitude E4200/E4300 ! Smartphone or Laptop? Both - Dell Latitude E4200/E4300 ! Don’t we love to have a laptop which can browse internet, play music and videos, read email including calendar and attachments and while doing all that sustain life battery for several days??! And then flip the switch and have full power of mobile dual/quad core processor to play games/HD videos etc …. 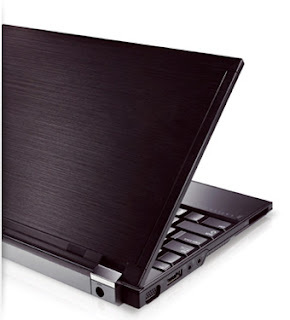 Dell Latitude E4200 laptop makes its possible and achievable by basically marring a Smartphone with regular laptop. This was made possible due to inclusion of same processor found in 98% of smartphones , mobile internet devices (MID), handheld gaming consoles and PDA’s is based on ARM technology. ARM is small, fabless (doesn’t own its own manufacturing plants), originally found in England IP (intellectual property) company which owns the patents for design of ARM processor. Among unique features are most important is very low power usage which exactly were Intel’s Atom CPU would love compete, but unfortunately for later is still far off playing catch up game in low-power platforms. This August, Dell shown us Dell Latitude ON technology, which company says enables near all of daily tasks, we require from laptop, without actually powering on the main system. It would allow us to enjoy these amazing power savings provided by ARM processor. Hybrid technologies are in high demand right now from cars to dual video card system found in new MacBook Pro laptops. Using hybrid IGP/discrete GPU solution, allows getting best of both worlds – usually performance and energy savings. Several other vendors decided to use similar technologies – for example Asus, but instead of targeting battery life, the focus is on the boot-up time of operating system. The technology, Asus marketing calls ExpressGate, can boot ready to use windows like interface (based on Linux) in 5 seconds. This shell allows features and applications such as photo viewing and sharing, Internet access, chat and email. Dell E4200 is on sale now starting mere $1949 with our favorite Windows Vista or for extra $99 “downgraded” to XP.